Commercial sewer repair can seem like a complicated process, since it involves a company and customers, both with business of their own. Since we understand those complications, here at NuFlow, we make sure our processes are quick, efficient, and effective. What Is Trenchless Sewer Repair, & How Is It Beneficial? Trenchless sewer repair is a great option if you’re looking for friendly options for your budget, time, and energy. As a commercial business owner, you may be experiencing issues due to the fact that the severe heat in Arizona can cause issues with plumbing. We understand that it means that you need an immediate fix. Trenchless sewer repairs are the best option for you, if that’s the case. We offer two forms; pipe bursting and CIPP lining. CIPP lining is a relatively complex process. 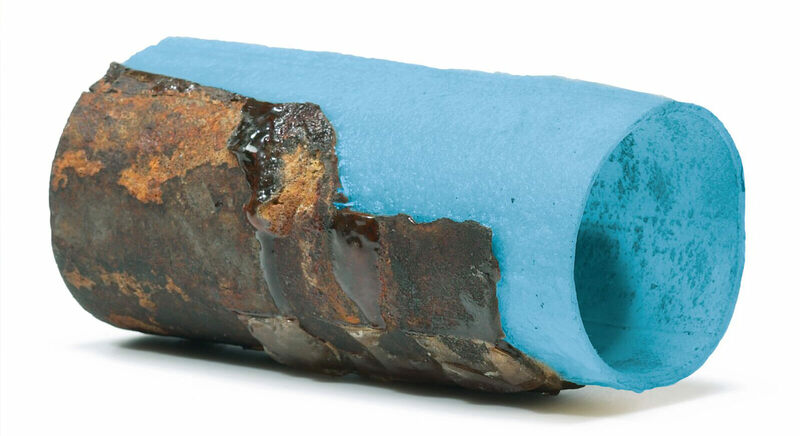 We inspect your pipe for any weak areas damaged by heat or pressure, clean the pipe out, and then insert a flexible liner coated with epoxy resin into your pipe via a pre-existing entry point that requires little-to-no excavation. We remove the liner and then allow the epoxy to harden. It takes a few hours to harden, and then we inspect the pipe again to ensure that the epoxy has hardened completely and the epoxy has a smooth surface. The epoxy effectively stops leaks by filling in cracks, holes, and damage; it halts the effects of corrosion and erosion due to heat and pressure, as well as water; it also allows for a smooth and durable texture, ensuring that wastewater can be easily transported through and doesn’t make up clogs. Replacement is oftentimes a trickier operation than a simple repair. Not only does it take longer, it also requires more money and more energy, even if you go with trenchless replacement options. With repairs, you can get the job done in a week, maximum. With replacements, it may take longer. That’s not something any of us want. With NuFlow Phoenix, replacements may not take as long as traditional excavational methods, but it’s still a bigger problem than just a repair. We offer replacements as a last resort, and only if the damage is irreparable and irreversible. While replacements are costly and difficult, if they’re necessary, they’re necessary. We offer eco-friendly options and more friendly, budget-reasonable assistance in terms of issues with replacements. We understand that it’s ever commercial nightmare, having to stop business and regular routine in order to get a plumbing problem fixed. That’s why NuFlow Phoenix doesn’t stop working, day and night, to complete your project. We want to make sure that your project is our top priority, so you can make sure that your business runs smoothly. Call NuFlow Phoenix To Fix Your Company’s Sewer System With Our Repair Methods Today! NuFlow Phoenix offers a variety of solutions so you can choose the right one. We allow you to have that variety so you can pick the best option that fits for you- for your budget, time, and needs. We want to make sure you’re happy. That’s why our technicians are the best of the best, with the experience, tools, equipment, licenses, and insurance to ensure that the job is done right every time. We don’t have repeat jobs because they’re simply not necessary. Contact us today for your commercial sewer repair. You can call us at (480) 508-6634.